When choosing to examine a cycle group in the Cycle view, it allows to inspect in detail the dependencies between the cyclic elements belonging to the selected group. Selecting a node or an arc allows to use the support of the Parser Dependencies (In and Out) auxiliary views to point out to where in the code base the associated dependencies are being generated. Context menu is also enabled for arcs and nodes. 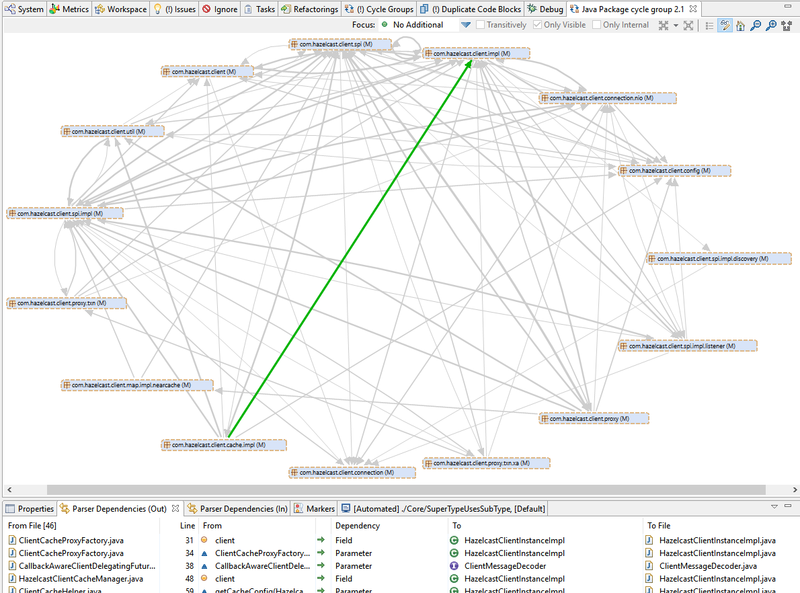 The Cycle view supports the same graphic exploration interactions as the Exploration, Graph and Workspace Dependencies views. More details are described in Section 7.10.1, “ Concepts for System Exploration ” .